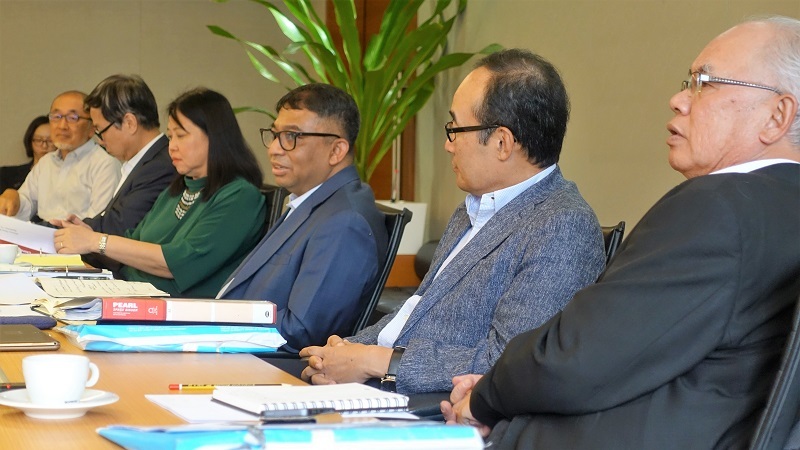 Advisory Panel convenes a meeting in Singapore on September 14, 2018. From left to right: Dr Akira Ariyoshi, Dr Feng Lu, Dr Maria Socorro Gochoco-Bautista, Dr Mohamad Ikhsan (AP Chair), Professor Kyung-Wook Hur, and Dr Bandid Nijathaworn. SINGAPORE, September 14, 2018 – Members of the Advisory Panel (AP) of the ASEAN+3 Macroeconomic Research Office (AMRO) met today to review and discuss AMRO’s research and surveillance on ASEAN+3 economies. During the meeting, AMRO staff presented on the recent developments in the ASEAN+3 region, with a focus on the impact of global trade tensions and turmoil in the emerging markets on the regional economies. AMRO also shared its findings from its recent Annual Consultation Visits to China; Hong Kong, China; Korea; and Cambodia with the AP. Finally, AMRO consulted with the AP on its on-going research on local currency contributions to the Chiang Mai Initiative Multilateralisation (CMIM). The meeting was chaired by Dr Mohamad Ikhsan, and attended by Dr Akira Ariyoshi, Dr Bandid Nijathaworn, Dr Maria Socorro Gochoco-Bautista, Professor Kyung-Wook Hur, and Dr Feng Lu. 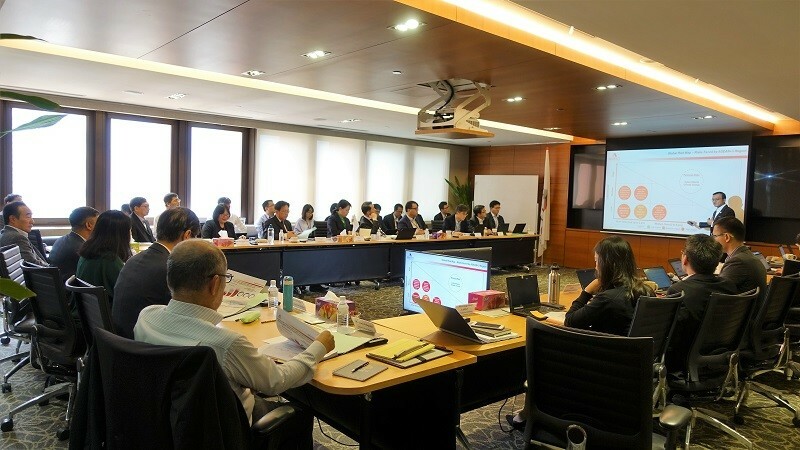 AMRO Director Dr Junhong Chang, Chief Economist Dr Hoe Ee Khor, Deputy Director (Administration) Mr Byungseo Yoo, Deputy Director (CMIM, Strategy and Coordination) Mr Yasuto Watanabe, and Surveillance Group Heads participated in the meeting. AMRO staff present the Global Risk Map and risks faced by the ASEAN+3 region to at the AP meeting. ASEAN+3 Macroeconomic Research Office (AMRO) is an international organization established to contribute to securing the economic and financial stability of the ASEAN+3 region, which include 10 members of the Association of Southeast Asian Nations (ASEAN) and China; Hong Kong, China; Japan; and Korea. AMRO fulfils its mandate by conducting regional economic surveillance, supporting the implementation of the regional financial arrangements, the Chiang Mai Initiative Multilateralisation (CMIM), and providing technical assistance to its members.